To order a Limited Edition sculpture or Commission a piece, or enquire about price and availability, please CONTACT ME. When you order a piece a deposit of 50% is required, the balance to be paid on completion and prior to delivery. This is non refundable once the casting is in progress. 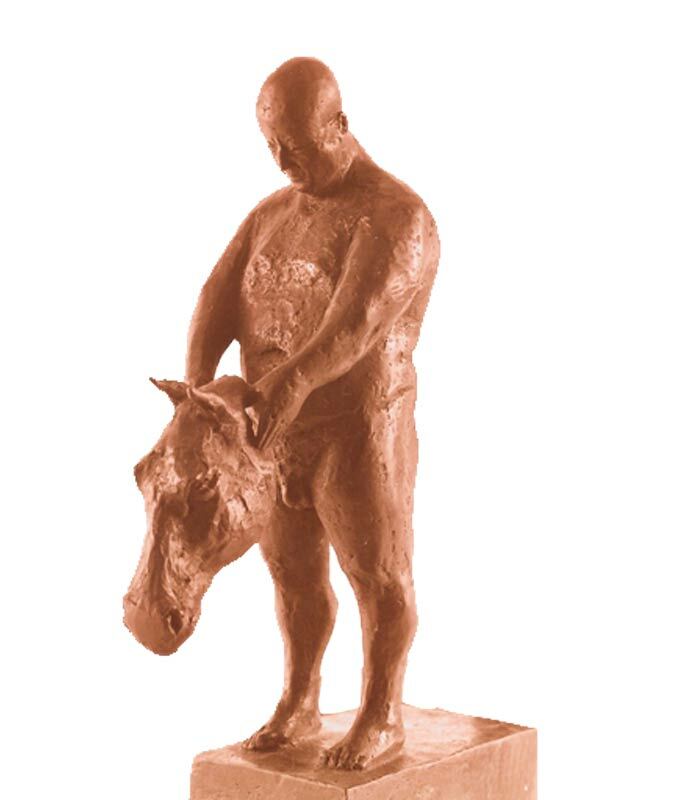 Bronzes are usually cast to order and there can be a 8 – 10 weeks delivery time. Once you have decided on a piece it will be made specifically for you and every effort to will be made to tailor the timing and presentation of the piece to your requirements. Please ask, most things can be accommodated. Shipping costs will be arranged before delivery according to weight, insurance and location. We are happy to advise on all aspects of the ordering process. Payment can be made by bank transfer. Credit card payment can also be made using Paypal, with no account necessary. If you need help with any of this, please contact me. Sculptures are made in Limited Editions of 12. Prices given on request. Commissions are priced individually and depending on your requirements and can be a one off piece or multiple copies. PLEASE FILL THE FORM AND I WILL CONTACT YOU TO ARRANGE PURCHASING. I consent to Joanna Mallin-Davies is a British artist creating bronze and clay contemporary sculpture, producing limited editions and interior and public art commissions collecting my details through this form. Digit amount of transfer and send money in a safe way!